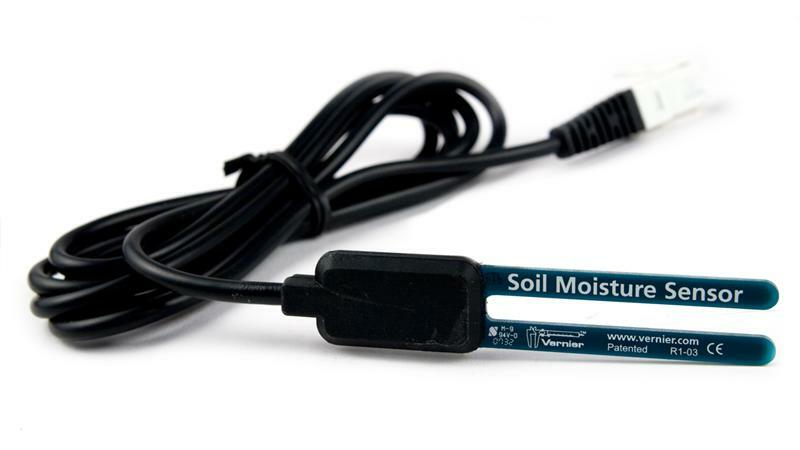 The Soil Moisture Sensor uses capacitance to measure the water content of soil. Simply insert this rugged sensor in the soil to be tested and the volumetric water content of soil is reported in percent. Use it to conduct experiments in ecology, environmental science, agricultural science, horticulture, biology, and more. Measure the loss of soil moisture over time due to evaporation and plant uptake. Enhance your Bottle Biology experiments. The Soil Moisture Sensor requires a compatible interface and software to collect data. Interface and software sold separately.